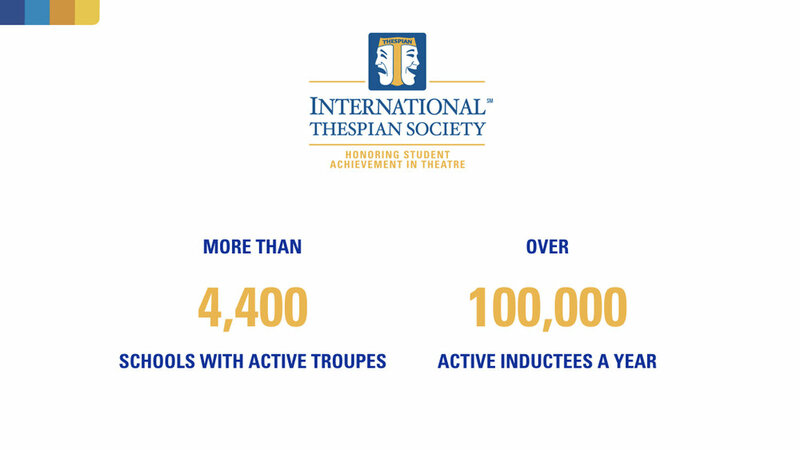 The International Thespian Society (ITS) group at each school is known as a troupe and is led by the troupe director, usually the school's theatre teacher. The troupe is the school's theatre honor society and students earn induction based on their achievements within its theatre program, either a program that is curricular, extra-curricular or both. Thespian troupes include students in grades 6-8 who have earned at least 10 thespian points. 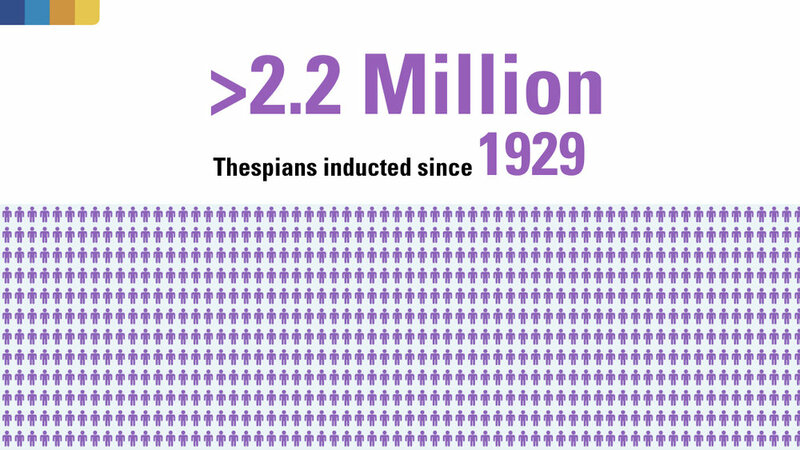 On average, a thespian point is awarded for every 5 hours of excellent work completed within the theatre program. 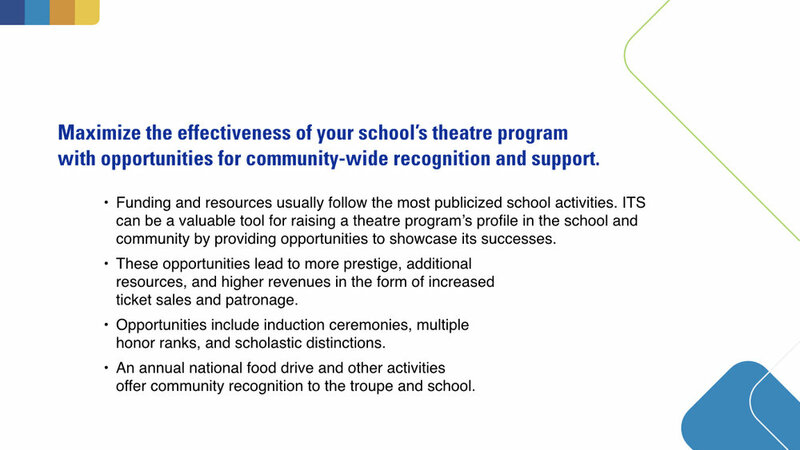 The International Thespian Society is a program offered and administered by the Educational Theatre Association (EdTA). All troupe directors become full professional members of EdTA upon successful charter of a thespian troupe. 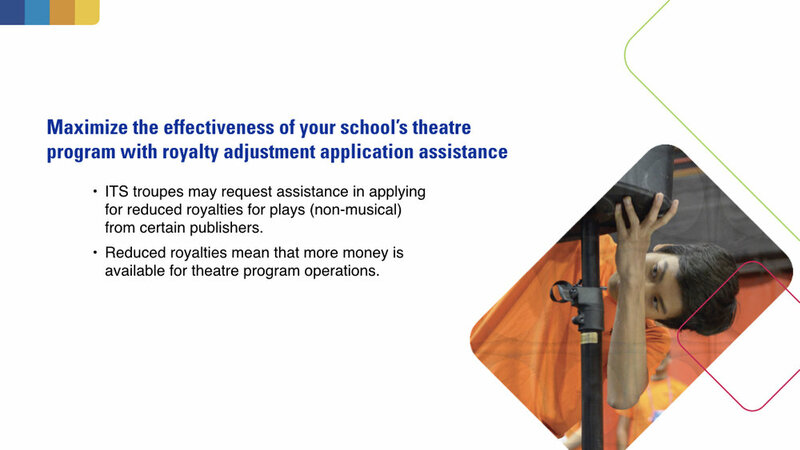 ITS point system guides help track student work in performance, tech, and production staff categories. In fact, inductees must earn points over the course of more than one production and in more than one discipline. Students continue to earn ITS points beyond induction to achieve progressively higher honors. Additionally, inductees earn ITS scholar distinctions based on their academic performance as denoted by their G.P.A. High assessments for individual events at the state and national levels. Training by state and national theatre arts educators and working professionals. Collaborating with students from other schools. Assessment and recognition of their skills based on national standards. Professional development for troupe directors is also available. ITS troupe directors are full members of the Educational Theatre Association, (EdTA), which provides topnotch professional development and networking opportunities, including the EdTA National Conference.